Summertime is such a great season, and we’re sure we love it as much as you do! The days are longer, the sun is shining, we spend more time in the outdoors, the kids are on summer break, and summer vacations await us! With all this excitement it’s easy to forget about scheduling time for taking care of your smile and oral health! There are a few simple things you can do during your busy schedule this summer that your mouth will thank you for come fall and winter! Don’t Forget To Pack A Toothbrush And Floss! When we’re excited about a big vacation, it’s easy to forget simple things like a toothbrush and floss. Sometimes we justify not flossing while on vacation or skipping a day or two when we forget our favorite brush. Don’t let this happen to you! Storing an extra set of dental cleaning supplies in your luggage is a great way to avoid this mistake. Another travel hack is to ask the hotels front desk for an oral hygiene pack, they often carry them, and they’re usually free of charge! Even though most of us grown-ups are still just as busy during the summer, the children in our lives usually have a lot more time on their hands. Scheduling this spare time for your family to get semi-annual cleanings done, check-ups and any necessary dental work done is a great way to start out the new school year right! Completing as much of this work during the summer months means that your kids are less likely to have to miss valuable class time instruction, homework time or interrupt our carefully planned out school day schedules. College Students Need Summer Visits Too! For you parents with kids in college, summer is a great time to get them into our office for a visit as well. Students who are able to get their regular dental visits done at home in the summer, will also likely be home in the winter for the other semi-annual checkup. We encourage you not to let them visit their local college town dentist. 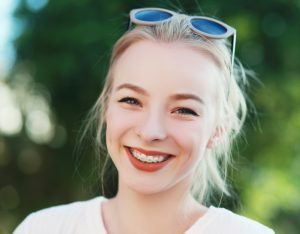 While they may be perfectly qualified to help your son or daughter, maintaining consistent contact with your home dentist means that they have access to a dentist who truly understands their history and knows what procedures will be in the best interests of your child. The college years are often when your kids first begin to let go of healthy oral hygiene. Our summer appointment openings always fill up fast so contact us today so we can do our best to your family in for your cleanings and checkups!